Thank you so much for visiting my Athlete Biz account! I have received such amazing support from my fans and without it I would not be where I am today. I keep a blog about my life as an elite vaulter, which you can find at vaulthigh.tumblr.com. I do all that I can to always thank and acknowledge fans. Feel free to find and follow me on Twitter and Instagram @SandicheeksPV. Wait… Olympians need pep talks…? 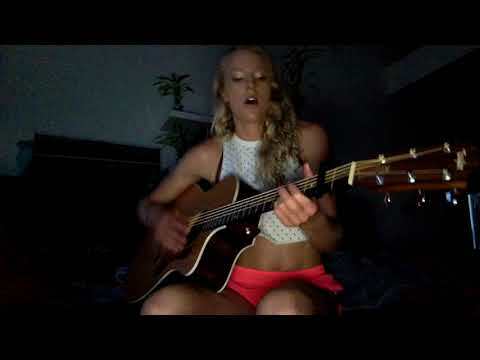 Hobbies: I play acoustic guitar and sing in my spare time, as well as care for my many pets! My passion for animals began at a very young age, and it has helped define who I am as a person today. Favorite TV show: It will always be The Crocodile Hunter! RIP Steve Irwin! Favorite place to compete: Brussels! It was the magical stadium I jumped 5 meters in for the first time. Favorite holiday: Halloween! Who doesn’t love to dress up?! From Greenville, SC, Sandi attended Greenville High School prior to the University of Arkansas, where she earned a degree in Broadcast Journalism. While competing for the Razorbacks, Sandi was consistently atop the podium, taking home an NCAA Indoor National Championship and four All-American honors. 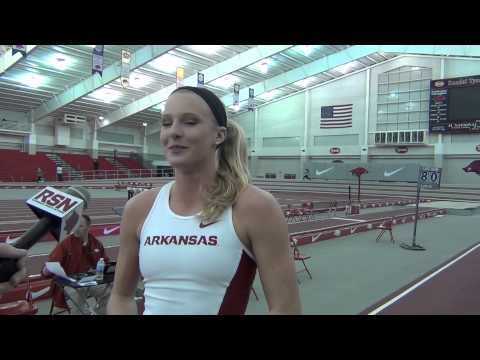 Additionally, she set the University of Arkansas records for both the Indoor and Outdoor Pole Vault. Sandi's success has continued as a pro. In her first year out of Arkansas, she was picked up by her sponsor, Nike, and kicked off the 2016 indoor season by winning her first U.S. national title and taking silver at the 2016 Indoor World Championships. She followed that up with a phenomenal outdoor season, becoming an Olympic Silver Medalist in the Rio Games, and three weeks later becoming only the second female vaulter outdoors to clear 5 meters. Yes. The future is bright! "I am many things. I am a sister and a daughter, but also a proud aunt of my niece and nephew Jamison Grace and Sam. Those little peanuts brings joy to my heart. All kids do. Off the track, I seek to inspire children to participate in athletics, and encourage them to chase their dreams. I have many passions aside from track - from animals (including my Italian Greyhound, three pet snakes, and bird), to music, writing, and broadcast journalism."